Cymryd Rhan, a home care provider in Wales. Cymryd Rhan is a charity and a home care provider in Wales. The words “Cymryd Rhan” mean “Taking Part” in welsh. Our main objective is to provide care for people in their homes and support them when they need it most. We focus on supporting lots of different citizens who are living life in a way of their choosing. Cymryd Rhan began as the Radnor Support Project in 1987. It was founded by a group of parents for their children. The aim, then and now, is to provide care in innovative and thoughtful ways. We work closely with local authorities to provide care that is effective and beneficial to communities. Cymryd Rhan is a non-profit organisation. This means we can provide care at a competitive rate. We care for citizens regardless of whether they are older, younger, whether they have a disability or just need support to feel more confident. Our goal is to assist people to change the way that they see themselves for the better. We achieve this through providing care for people with dignity and respect. Moreover, we actually work towards helping individuals to become more independent. As a home care provider, we are fully committed to working with anyone who needs extra support or care. We take the time to thoroughly understand what really matters to the people we support. What is more, we pride ourselves on our person centred approach to care. This means we place the people we support at the centre of everything we do! We constantly aim to attain the outcomes that the people we support want. Furthermore, we work to resolve the particular difficulties of people who live and work in a rural environment. When people tell us about what they want from their service, we listen. Not only does every person get the care and support to do the things they want, but we involve each person in the way Cymryd Rhan works. Thereby we are continuously improving our services. The aims we have for the people we employ are to make sure our team members have the values, skills and knowledge they need to support our clients and help them to achieve their individual outcomes. We support team members in their job, to develop for the future and thus become a valuable part of Cymryd Rhan. At Cymryd Rhan, we are always listening to our employees. Team members have regular meetings with our knowledgeable and experienced managers. This means our employees are confident to flourish as well as involve themselves in the way that Cymryd Rhan works as a home care provider. Sometimes, when working in a care environment, it means long hours and low pay. But at Cymryd Rhan, our carers have had three pay rises in the last three years. We also ensure carers are paid above the minimum wage for sleep ins and travel time. And we offer a generous rate for mileage incurred on the job. We provide our carers with all the skills and accredited training they need. We also enrol carers onto regular refresher courses. This makes certain our carers have the most relevant and up to date knowledge to provide care for the people we support. For more information about becoming a support worker, please click here. The Childcare Business Support Team based at our office in Llandrindod Wells organise training and education for adults. The courses are specifically for prospective child minders or people starting up child care businesses. For more details about this exciting venture please click here. Cymryd Rhan is registered to provide domiciliary care with the Care Inspectorate Wales. The CIW inspects us every year. The accompanying reports are available to see on our website and on the CIW website. Plus we provide care for people who are living in supported tenancies. For people living in their own flats or houses, we can provide floating support. 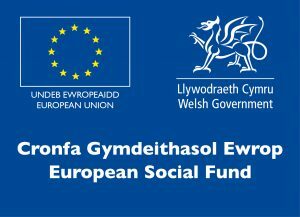 The funds for this floating support service come from the Welsh Assembly Government. This means referrals for floating support do not just have to come from Social Services. Other services we provide are under a scheme called Direct Payments. A board of trustees run Cymryd Rhan once the members of Cymryd Rhan elect them to be trustees. Our trustees are volunteers from communities local to us. Cymryd Rhan offers NVQ level 3 training and is a Cache approved centre.